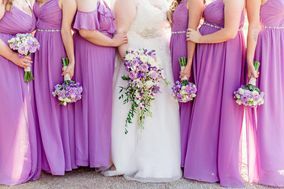 Ready to start browsing Monterey wedding photographers for your California wedding? 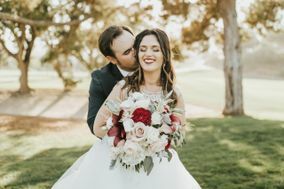 Compare Monterey wedding photographers, including their packages, pricing, and photography styles, all in one convenient place. 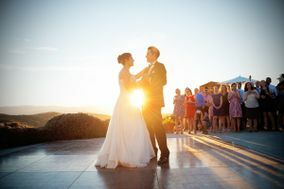 It's easy to check this important step off your to-do list with this list of Monterey wedding photographrs. 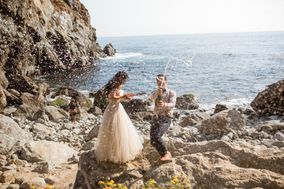 When you choose to tie the knot along California’s coastline, there’s no better place to do so than in Monterey. 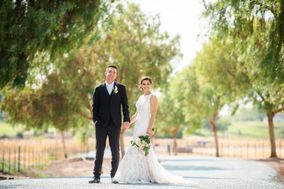 With its many appealing shops, restaurants and its proximity to the Pacific, you and your special someone will enjoy a memorable day of saying “I do.” While your wedding day is sure to stand out in your mind forever, you’d also like it documented. 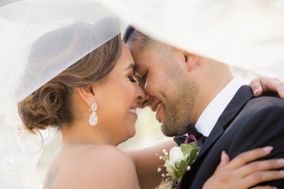 Book one of many fabulous Monterey wedding photographers and you will be able to look back on your celebration years from now with the same joy you felt on that special day. 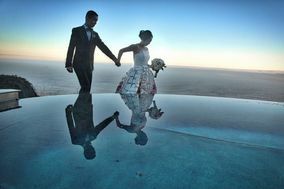 As you start looking for wedding photographers in Monterey, think about what you’d like your pictures to look like. 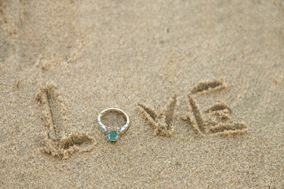 Chances are, you want to feature the beach on your wedding day in Monterey. Natural lighting is different than outdoor lighting, so look for a photographer who has experience shooting outdoors. This is especially useful if you’re looking to capture the light of a certain time of day, such as sunset. Additionally, ask to review any selected cameraperson’s portfolio. This will give you insight into their style and allow you to look into their previous work. Before you put down a deposit or agree to hiring them, take a look at your wedding budget. 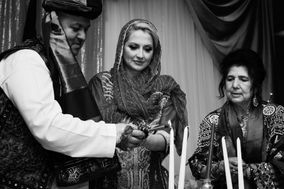 Your wedding budget should allot for roughly $3,500 or ten percent of your budget for wedding photography in Monterey. 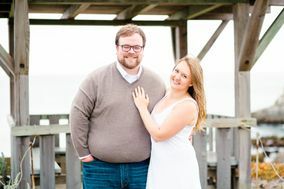 Chances are, if you’re going to get hitched in Monterey, you want some photographs of you and your special someone on the beach. 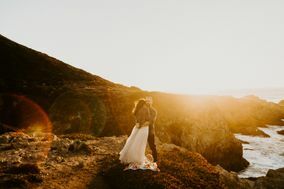 Visit Fisherman’s Wharf to incorporate colorful buildings and peaceful waters into your wedding day imagery, or check out Bixby Bridge for an iconic shot of Northern California. 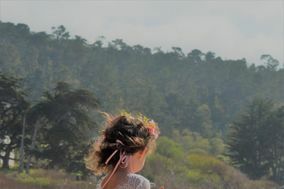 Nearby Pebble Beach and Carmel are stunning beach areas that offer coastal beauty as well as lush green trees that will make your images feel like something out of a fairytale. If you and your special someone are interested in aquatic wildlife, visit the Monterey Bay Aquarium and pose in front of the aquarium’s famous jellyfish exhibit. 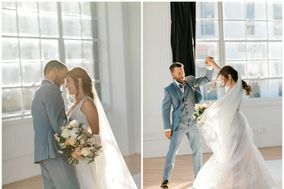 Nuptials in Monterey can be beautiful any time of year, as the city is known for its temperate coastal climate. The city is pleasant throughout the year, with rain being common from October through April. 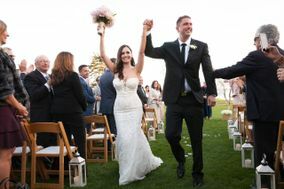 There’s no snowfall in Monterey, so winters are still an appropriate time to have a wedding, and summers typically don’t experience highs higher than the 70s. 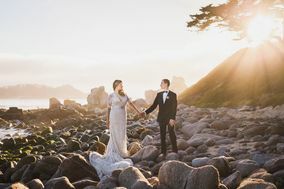 No matter when you set your wedding date in Monterey, consider that you might have clouds rolling in over the celebration. 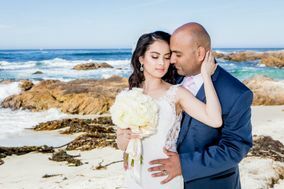 Ready to tie the knot in Monterey? 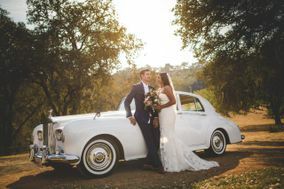 Hire a talented Northern California wedding photographer to help you do so. 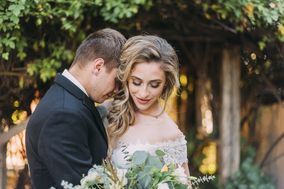 In addition to being able to sort through tons of camera people here on WeddingWire, you’ll also find an abundance of planning tools to help you nail down the logistics of everything leading up to your wedding day.